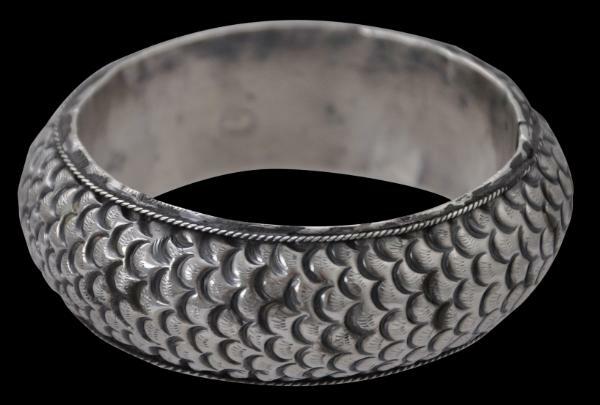 This bracelet of high-grade silver is hollow (but still heavy for its size) and is decorated on the exterior with a fish scale pattern. 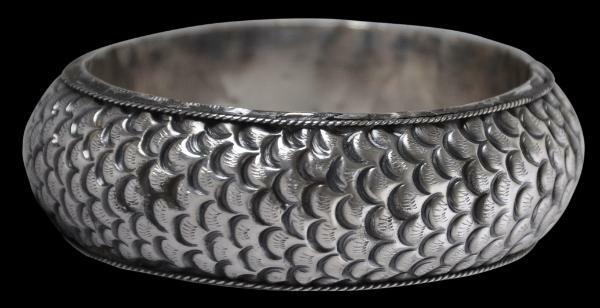 The edges are decorated with a fine border of twisted silver wire. 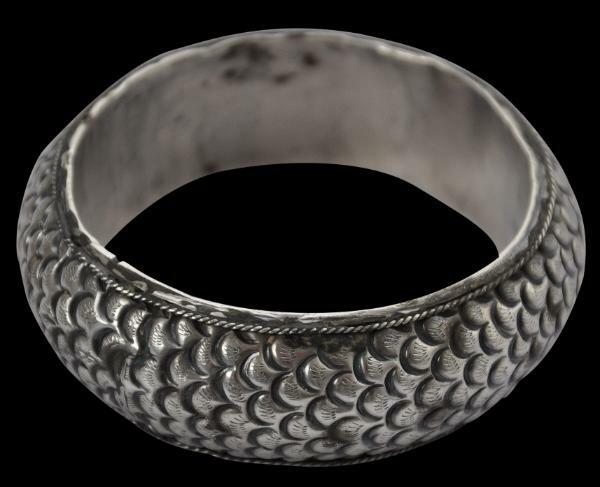 Ramson (2014, p. 163) illustrates a pair of hinged silver bracelets that have a similar scale-like decoration. The example here is in fine, wearable condition. It has obvious patina and age.